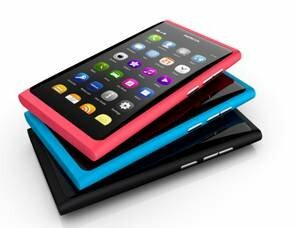 Nokia presents the N9, a new smartphone with a 3.9" AMOLED screen and the MeeGo operating system. The device has a TI OMAP3630 1 GHz processor and a PowerVR SGX530 GPU. Pricing and availability is still unknown. One swipe and you're home The Nokia N9 introduces an innovative new design where the home key is replaced by a simple gesture: a swipe. Whenever you're in an application, swiping from the edge of the display takes you home. "With the Nokia N9, we wanted to design a better way to use a phone. To do this we innovated in the design of the hardware and software together. We reinvented the home key with a simple gesture: a swipe from the edge of the screen. The experience sets a new bar for how natural technology can feel," said Marko Ahtisaari, Nokia's head of Design. "And this is just the beginning. The details that make the Nokia N9 unique - the industrial design, the all-screen user experience, and the expressive Qt framework for developers - will evolve in future Nokia products." You can watch videos in true 16:9 widescreen format. And because the Nokia N9 is also the world's first smartphone with Dolby® Digital Plus decoding and Dolby Headphone post-processing technology, you get a surround sound experience with any set of headphones. The Nokia N9 will be available in three colors - black, cyan, and magenta with storage options to accommodate plenty of content: 16GB and 64GB. The Nokia N9 is scheduled to be in stores later this year, with availability and local pricing to be announced closer to the sales start.